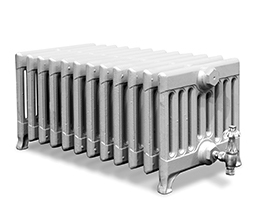 A traditional Victorian radiator which was first produced in America in the 1880's. Today, this simple design gives a contemporary feel, especially when hand burnished. Carron radiators are designed for modern lifestyles and are functional, practical and cost effective but above all else they are stylish and retain the charm of days gone by. The Carron Victorian 9 column radiators are one of the most popular of all of Carron’s radiator styles due to the large choice in heights and the very competitive prices. The ideal spot to place a radiator is under a window and the Victorian’s various heights make this style very appealing and practical. 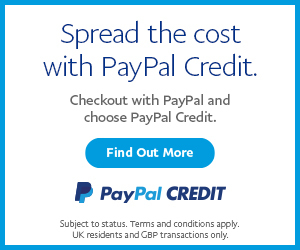 This then frees up wall space to place your furniture against making the most of your space. 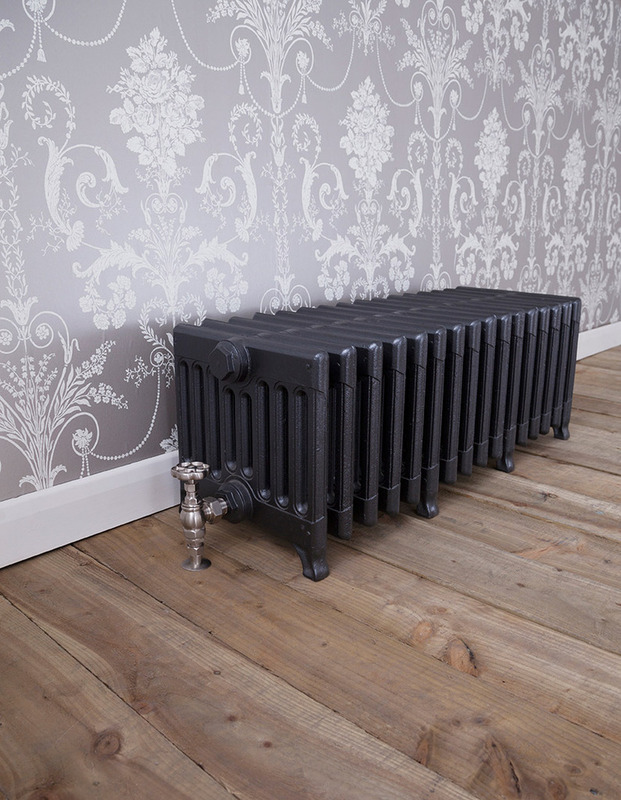 The Carron Victorian 9 column radiator has clean lines, square edges and lends itself with modern contemporary spaces. 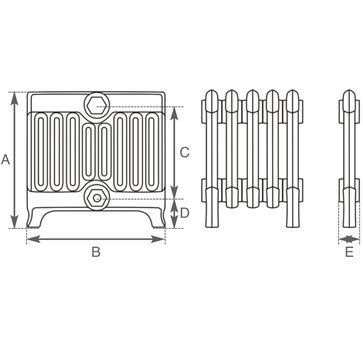 The 9 column radiators give out a massive BTU per section due to the depth of the section making these radiators ideal for large rooms. Add a traditional style radiator valve in either thermostatic or manual to the radiator and it takes you back to the Victorian period. It really is a gem of a radiator. 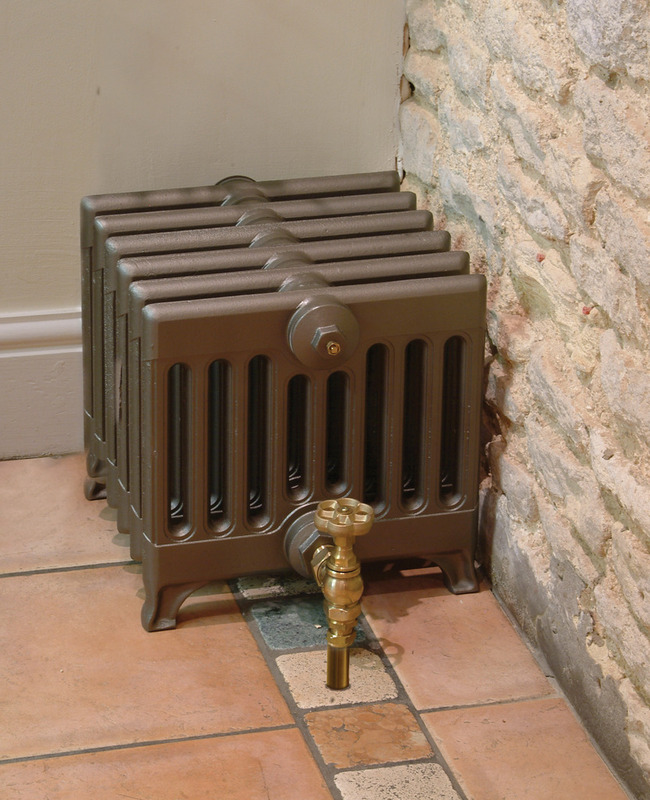 The Carron Victorian 9 column style radiators give out a very good heat output per section making them very cost effective. Wall stays are recommended with all Carron radiators with exception to the 330mm tall you do not need a wall stay for this radiator it can be free standing.